South Africa were going great guns against New Zealand in the semifinal at Auckland’s Eden Park, when rain made an appearance at the end of the 38th over on Tuesday. A familiar South African bogey — Messrs Duckworth-Lewis — kicked in when play resumed and the Proteas got just 5 overs to go hammer and tongs. Grant Elliott produced a masterful 84* to take New Zealand to victory, leaving South Africa to ponder , yet again, what could have been had the rain stayed away given them a chance to complete 50 overs. Whenever the Duckworth-Lewis method comes into play in crucial rain-affected World Cup games involving South Africa, there is little joy for the rainbow nation. South Africa were in their first World Cup and made it to the semi-final against England. New rain rules had been introduced in the tournament for the first time to make rain-shortened games fairer. Put in to bat, England scored 252/6 in 45 overs. The innings was curtailed as South Africa had a slow over rate, for which they were later fined. South Africa began their chase well and were on their way to victory, needing 47 runs off the last 5 overs with four wickets in hand. David Richardson (now the ICC CEO) and Brian McMillan reduced the required runs to 22 off 13 balls. That was when catastrophe struck. Rain grew heavy and the umpires asked the players what they wanted to do. While South Africa wanted to go on, England skipper Graham Gooch was adamant that he wanted to take his players off as they were struggling with a wet ball and sodden outfield. Rain soon stopped and only 12 minutes were lost. The new rules stated that overs would be deducted for any time lost — and the scoreboard showed 22 runs needed off 7 balls. This later turned out to be a farce, as moments later the target was revised to 22 off 1 ball. This too was wrong because the actual requirement was 21 off 1 ball! The crowd was unhappy, so was the South African dressing room. They took a single off the last ball and stomped off the field. South Africa were the hosts, and with a team consisting of star players such as Shaun Pollock, Herschelle Gibbs, Lance Klusener, Jacques Kallis, Mark Boucher, Makhaya Ntini and Gary Kirsten, home fans were a confident lot. South Africa had been fending off an uncomfortable ‘chokers’ tag and this was the perfect setting to cast it off. Rain, brain freeze and mangled calculations saw them crash out in the group stage. Sri Lanka rode on Marvan Attapattu’s century to post 268/9. Herschelle Gibbs scored 73 to get South Africa going. Play was called off after the 45th over with the Proteas placed at 229 for 6. At the end of the 44th over, the dressing room sent a message to Mark Boucher, who was going great guns then, that 229 at the end of the 45th over would ensure them victory as per D/L if they did not lose any more wickets. Boucher and Klusener took 13 runs off the first 5 balls of Muralitharan’s over. Boucher pumped his fist in the air after sending the 5th ball flying over the boundary. He defended the last ball under the impression that they had already won. Covers were brought on. Boucher’s jubilation first turned into confusion and then despair. The instructions sent to him had been wrong. South Africa needed 229 for a tie, and they needed an outright win to advance to the Super Sixes. All their hope of lifting the title came crashing down. Courtesy D/L, South Africa had to score 232 to win after dismissing Pakistan for 222 on Saturday. The game had been reduced to 47 overs a side. Pakistan’s fast bowlers ripped through the Proteas top order, but many a South African fan will feel aggrieved with the extra runs added on by D/L method. After recovering from early inroads created by New Zealand bowlers, AB de Villiers and Faf du Plessis were doing a great job of rebuilding the innings. Both of them shifted gears in the 31st over and started scoring at a brisk pace. They dealt mostly in boundaries in the 4 overs of batting powerplay (35th-38th over) they got before rain intervened. The rain then played hide-and-seek for almost an hour-and-a-half. When play resumed, the match was reduced to 43 overs a side. David Miller provided impetus in these final overs to ensure that South Africa posted 282 on the board. New Zealand got a D/L target of 298. But the loss of momentum South Africa suffered due to the rain delay will hurt and haunt. Minus the rain, South Africans — even neutral cricket fans, if there are any — would believe the final score would have been way higher. 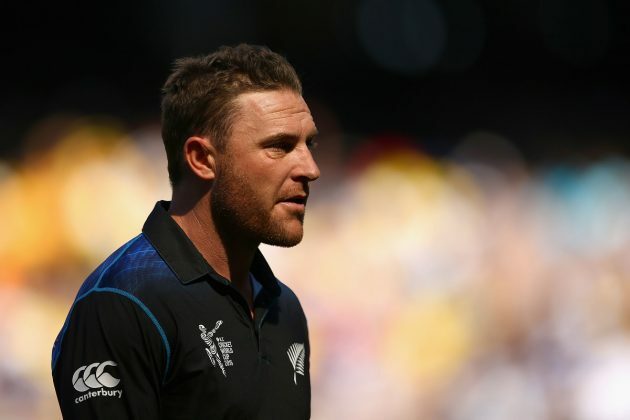 McCullum acknowledged as much in the post-match presentation ceremony, saying his thoughts when the rain came were that it should “continue”. Another World Cup, another heartbreak and going solely by empirical evidence, the D/L method is unlikely to get much love from South Africa.